What is a confessor’s greatest service to penitents? Putting them in touch with Jesus Himself. Pope Francis stressed this today in the Vatican to the participants in the 29th Course on the Internal Forum, which is taking place in Rome, in Palazzo della Cancelleria, from March 5-9, 2018. In his address, he urged young priests, future priests and penitentiaries, to be “witnesses of mercy, be humble listeners to the young and to God’s will for them, always be respectful towards the conscience and freedom of those who approach the confessional, because God Himself loves their freedom.” He also told them to entrust penitents to she who is the refuge of sinners, and Mother of mercy. 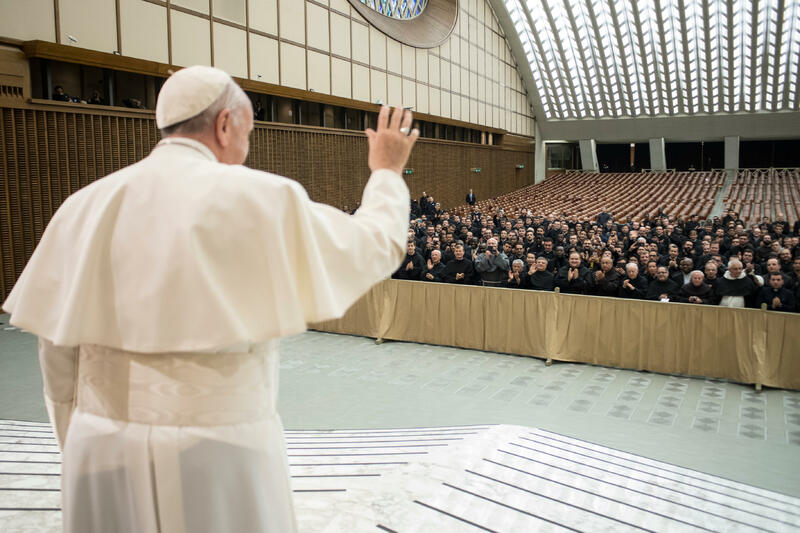 The Holy Father had begun by greeting the “whole family” of the Apostolic Penitentiary and the participants in the course on the Internal Forum, which this year, looking ahead to the next Synod on youth, dealt with the relationship between sacramental confession and vocational discernment. This, the Pope noted, is a very appropriate topic that deserves some reflection. First of all, he said, it is always necessary to rediscover, as Saint Thomas Aquinas says, the instrumental dimension of the priestly ministry. Secondly, the Pontiff stated, it is necessary to know how to listen to questions before offering the answers. When these two elements are present, the Pope said, the sacramental dialogue can truly open up to that prudent and prayerful journey that is vocational discernment. Pope Francis concluded, reminding those present of their responsibility and of their need to entrust their penitents to our Mother Mary.